Paul Glover, instigator behinc Ithaca Hours and a passionate spokes-person for local money contributed this overview to Shareables.net. A local money or, alternatively, a time-bank, can bring the community together, provide the "money" for local improvement(s), and teaches the participants trust in each other and the community as a whole. This is a two-part story on CounterPunch.org by Jane Slaughter. 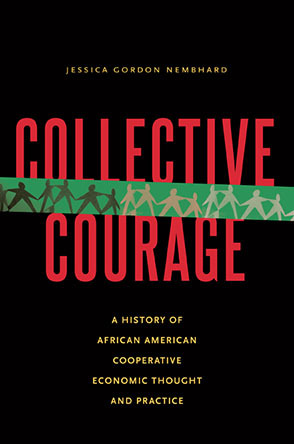 It tells the story of the formation of the TRADOC Cooperative that started with a three-year worker's strike and has led to a successful worker co-op. Part two [can be found here](http://www.counterpunch.org/2013/04/04/can-worker-owners-make-a-big-factory-run/). This is a really good and simple explanation of the use of an alternate currency, a credit arrangement, actually, on co-operative principles and structures to revitalize the local economy of a community that is in a country under a New-Liberal Austerity job and social-benefits crunch. A very strong statement from a 4th generation family farmer working a homestead established in 1889. It reminds us that the agricultural co-ops of the 19th century Progressive movement didn't die. The political arm died but many of the co-ops are continuing to work for Food Security and a fair deal for the family farmer. With reference to Zingerman in Ann Arbor, mentioned earlier in our Blogs. Picking up key paragraphs from Marjorie's recent article on Alternet (also run in Yes! Magazine). Marjorie has a new book: Owning the Future: The Emerging Ownership Revolution. GREENFIELD — From pickles to granola to beverages, a few local food makers are mixing up the recipe for how to own their growing businesses.